Web Apps vs Websites - Dynamic vs Static! 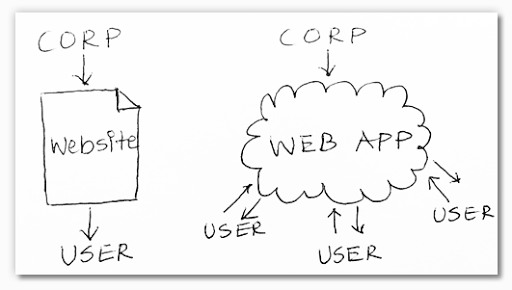 Web Apps vs Websites – Dynamic vs Static! The internet has become a conglomerate of web presences of individuals, companies, groups, and the like. The internet has quickly evolved from static websites that offer unchanging information to dynamic applications that cater to the user by utilizing information pulled from a database to create a customized user experience. Custom web application development using the open source frameworks combined with insight between you and Ayoka’s development team ensures that your goals and needs are properly met in a timely manner! The precision that is guaranteed with utilizing frameworks coupled with custom code makes it easy to create error-proof and secure applications. Now that you’re aware of the difference between what makes a website a billboard and what brings a web presence its shine with the engaging aesthetic of a web application, Ayoka is ready to help you to the goals you have made for yourself!